ArchiveOS.org postawiło sobie zadanie archiwizacji istniejacych OS-ów. W pierszej kolejności dodawane są systemy nierozwijane, porzucone i trudno dostępne. Aktywne projekty też będą dodane, lecz w późnijszym terminie. 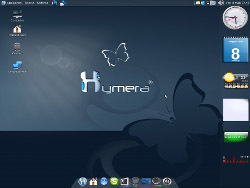 It is a 64-bit GNU Debian Linux OS designed for OEM system builders and the TTPC Computer Models. It also has it’s own custom Internet Security UI, and many added features specific to this distro. Downloaded now, and added to my todo list. I have several Porteus 3.1 semi-custom built isos that I built and downloaded from their now discontinued custom build site that I would like to share–mostly 32bit, LXDE, Mate, Xfce, KDE, some with just abiword, some with LibreOffice, most with Opera, a couple with Firefox. I have found them to be quite handy to include onto an easy2boot multiboot USB stick as “rescue insurance”, thanks to Porteus’ inclusion of PLoP on the initialization menu. How would I go about doing that? Do you know Vitalinux EDU DGA? 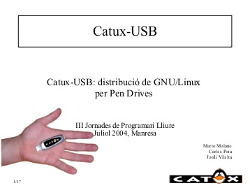 It’s a distro for Primary and Secundary Education in Aragón, a region of Spain. You can have a look at: wiki.vitalinux.educa.aragon.es/index.php/P%C3%A1gina_principal (exactly this ISO: wiki.vitalinux.educa.aragon.es/isos/Vitalinux-64b-2018-2-10.des.iso). Bye.